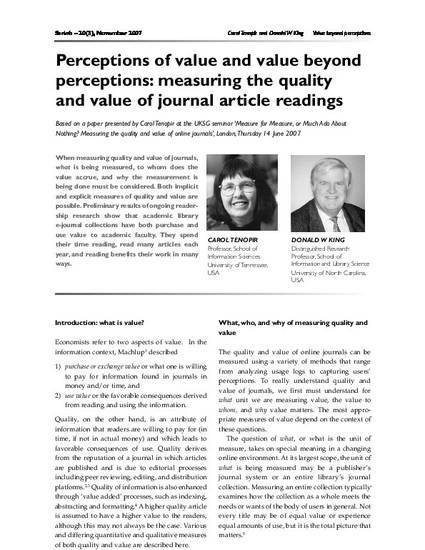 When measuring quality and value of journals, what is being measured, to whom does the value accrue, and why the measurement is being done must be considered. Both implicit and explicit measures of quality and value are possible. Preliminary results of ongoing readership research show that academic library e-journal collections have both purchase and use value to academic faculty. They spend their time reading, read many articles each year, and reading benefits their work in many ways.